Poland, officially the Republic of Poland, in Central Europe, is bordered by Germany, the Czech Republic, Slovakia, Ukraine and Belarusto the east; and the Baltic Sea, Kaliningrad Oblast (a Russian exclave) and Lithuania to the north. Poland is the 9th largest country in Europe with a population of 38.5 people.. Poland’s biodiversity is one of the richest in Europe. Many animals that have since died out in other parts of Europe still survive in Poland in the ancient woodland of the Białowieża Forest, which has never been cleared or disturbed for the most part. Poland is also host to the largest white stork population in Europe. Warsaw, the capital and largest city of Poland, is located on the Vistula River in east-central Poland. The city is a thriving metropolis and ranked as one of the most livable cities in Central Europe. The city is a significant centre of research and development, BPO, ITO, as well as of the Polish media industry. The Palace of Culture and Science is a notable high-rise building in Warsaw where companies, cinemas, theaters, libraries, sports clubs, universities (including Collegium Civitas), scientific institutions and authorities of the Polish Academy of Sciences are located. Constructed in 1955, it was designed by Soviet architect Lev Rudnev in Stalinist style and inspired by Polish historicism and American art deco high-rise buildings.The Palace of Culture and Science is the tallest building in Poland and the eighth tallest building in the European Union. It is 231 metres (758 ft) tall, including the structural 43-metre high spire. Warsaw Old Town is the oldest part of the capital city. 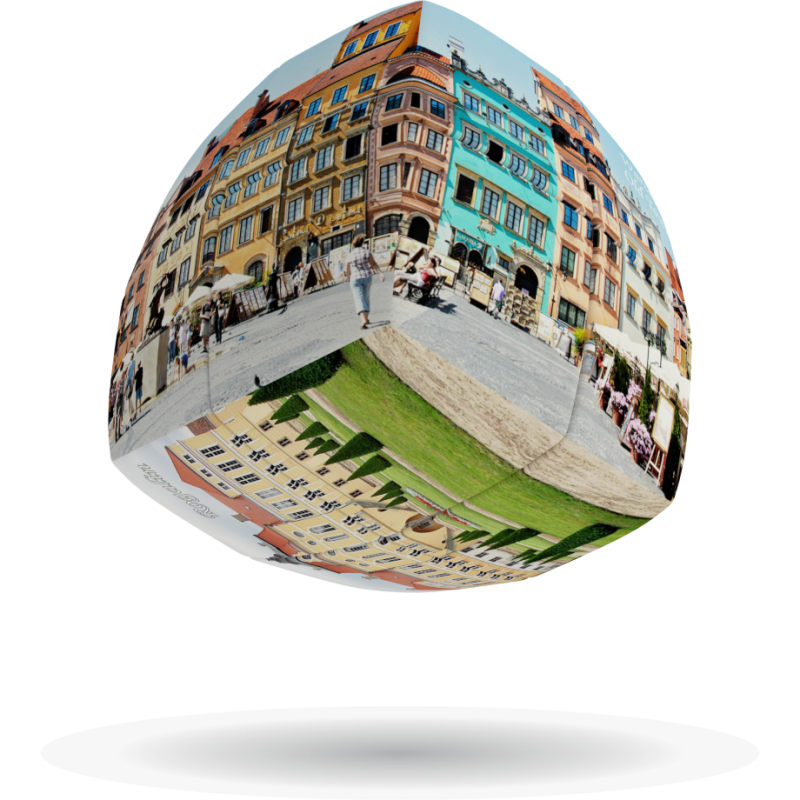 It is bounded by the Wybrzeże Gdańskie, along with the bank of Vistula river, Grodzka, Mostowaand The center of the area is the Old Town Market Place, with many in restaurants, cafés and shops. Surrounding streets feature medieval architecture such as the city walls, the Barbican and St. John's Cathedral. The Old Town was established in the 13th century and prior to 1339 it was fortified with brick city walls.. The Market Square was laid out in the late 13th or early 14th century and since the 19th century, the four sides of the Market Square haave the names of four notable Poles who once lived on the respective sides: Ignacy Zakrzewski (south), Hugo Kołłątaj (west), Jan Dekert (north) and Franciszek Barss (east). 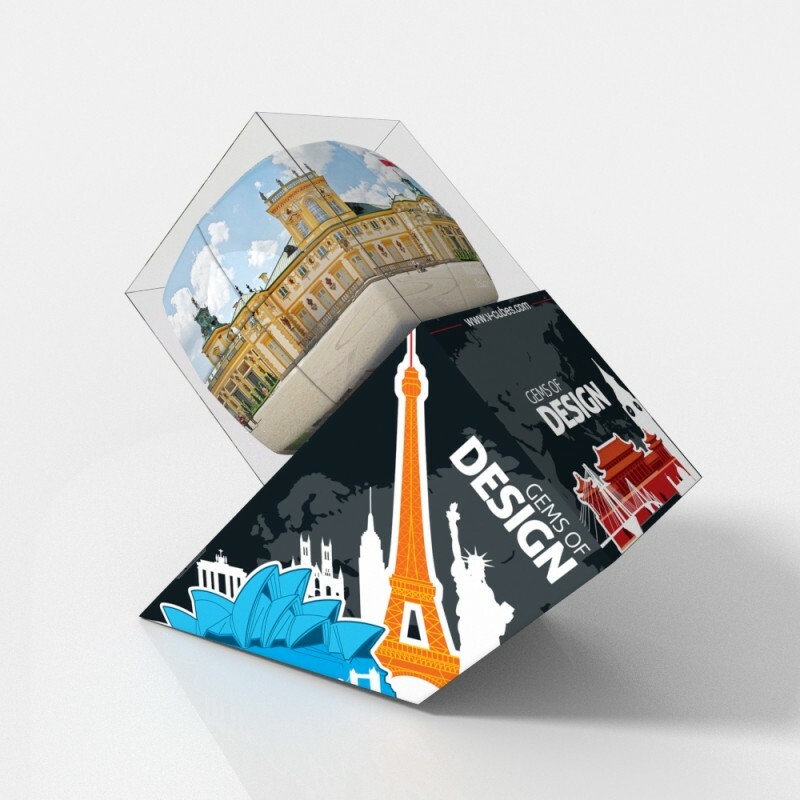 Experience the charm and history of Poland while you enjoy the challenge of the cleVer Cube, the finest quality rotational puzzle.